Performs well, the steam facility is a handy addition. Looks small, and takes up very little room. Depends on whether you like the rounded back design. If space is of a premium in your kitchen, and you're after a black corner microwave, then the Whirlpool Max 35 in black is the obvious choice. Thanks to it's black curved back, it will sit closer to the corner than regular shaped microwaves, and provides a compact 28 cm turntable, 13 litre capacity and 750w of power from within it's small overall dimensions. The practical steam facility is a bonus - meaning you can easily cook healthy steamed food, thus making this microwave pretty versatile. The controls are well marked, and the digital display easy to read, even in brightly lit kitchens. 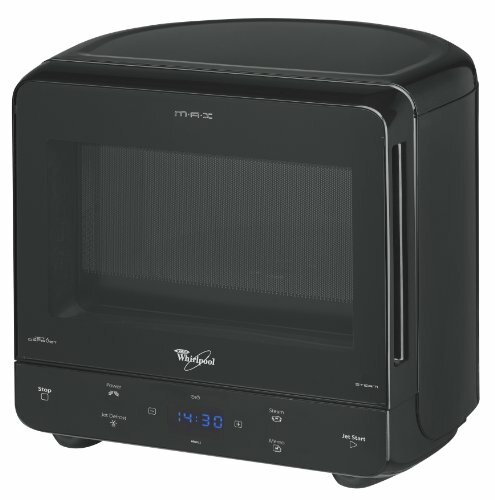 Cleaning was easy, and all of our testers were impressed with just how little room this microwave takes up - if you don't have much kitchen surface, then this microwave will suit your needs. In terms of wear and tear, this microwave should be fine - it's built pretty well, and feels like it will last a long time - Whirlpool appliances are typically pretty reliable in our experience. 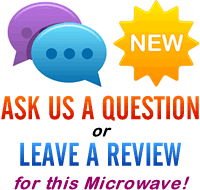 Overall a reliable, good performing microwave from Whirlpool. The Max 35 Black offers decent value, and will take up very little kitchen surface.